Kolpin® Yamaha® Rhino 60 / 40 Folding Windshield. Protection from debris, ventilation for hot days on the trail. Extremely durable and versatile, the 60 / 40 system allows you to lower the top shield and secure it in place for maximum ventilation and the custom injection molded clamps hold tight over any terrain. 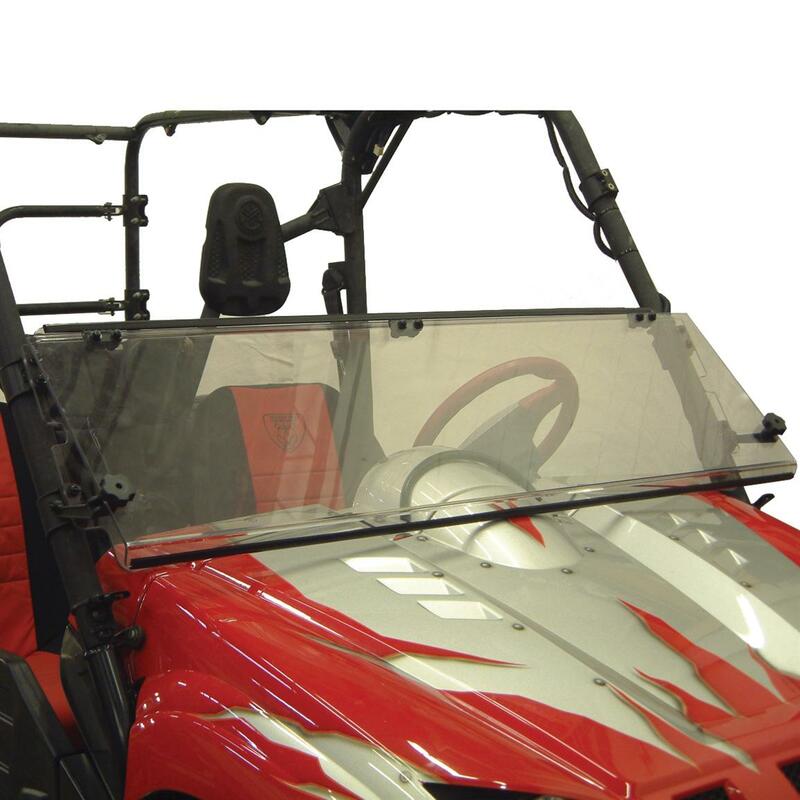 Constructed of ultra-thick, high quality, scratch resistant 1/4" MR10 GE Lexan Polycarbonate... this is one of the toughest windshield available! Easy to install... NO Drilling required!